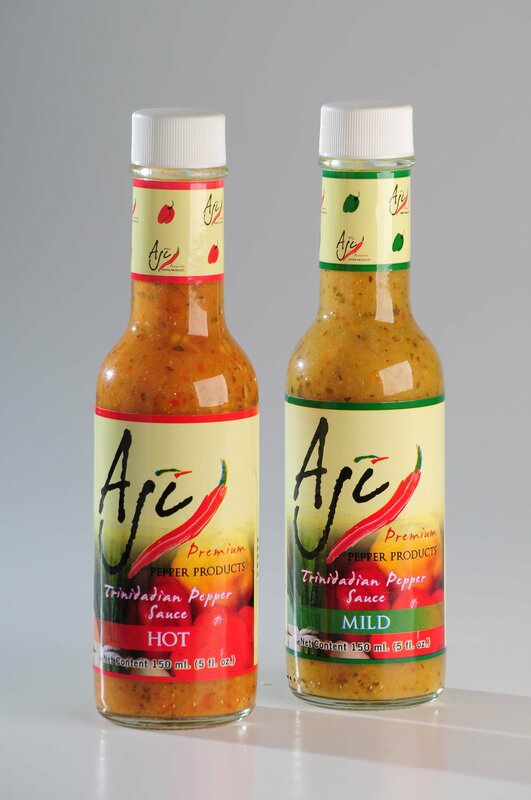 AJI’s signature products include the Trinidadian Pepper Sauce available in mild or hot; all products are all natural and contain NO preservatives, agents, artificial flavours, sugar or gluten. Retailers/Distributors – MALABAR FARMS (Maraval, Trinidad; PEPPERCORNS (Maraval & Westmoorings, Trinidad); BE FREE FOODS (Port of Spain, Trinidad); THE GOURMET GENIE (San Fernando, Trinidad); The Gallery (Long Circular Mall, Trinidad); House of Jaipur (Woodbrook, Trinidad); and several restaurants, including CHOP CHOPS GOURMET MARKET & BISTRO (Port of Spain, Trinidad) and TEXAS DE BRAZIL (MovieTowne, Port of Spain, Trinidad). Tags: Gluten-Free Items, Pestos/Chutneys/Relishes, Trinidad Tobago PEPPER SAUCE. Bookmark the permalink.